Expertly crafted from natural wood, EARTH wood timepieces are dedicated to explorers everywhere. Using organic materials, EARTH is an alternative to the norm. 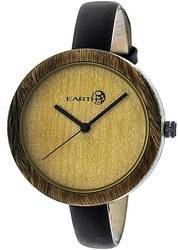 Wood grain from rosewood, bamboo and more make up the wooden linked watches.